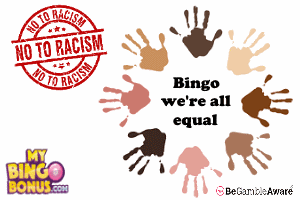 Sugar Bingo is a Bingo site that will appeal to just about everyone that plays here. Packed full of brilliant specials and loads and loads of sweet pots to keep you ticking over. If “full on” Bingo sugar rush is your thing, then you are at the right place. Fun and giant jackpots are what Sugar Bingo is all about and they don’t care if you are a big depositor or a small depositor, you get the same great customer service and a welcoming feeling. What they want is for you to spend all your time (and money) here and that isn’t too difficult, considering that they have it all. The best game here is the massive £250 daily penny Bingo game. Worth playing. 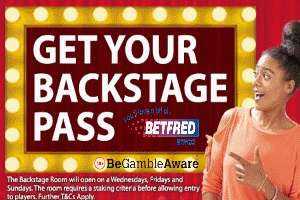 Then, there’s the weekly sliding jackpot games such as the £100,000 money train and the Self-made-millionaire game. Guaranteed edge of your seat fun. All in all, a happy place to be. Players (including us) rate Sugar Bingo as one of their favourites. Is it perfect? No, but everything they do screams fun. Would we recommend? YES, brilliant Bingo site that we absolutely love. A bubbly site that has it all. Loads of games that want your participation. Not a place to play once, but a place to call home for as long as you can stand all that attention. Great CS teams and happy players says it all. 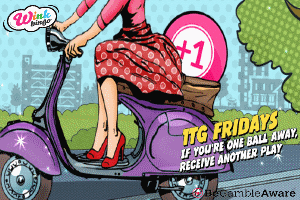 1p daily jackpots. Not Free but 1p tickets for £250 pot is close enough. There is no such thing as a free supper, and at Sugar you need to know what you are accepting when you take your bonus funds. Likewise, you need to know what and when you can withdraw your winnings. Full details will be in their Terms & Condition’s on the bottom of their homepage. Time to cash-out: 3-7 working days. Wagering requirements for bingo: 3x deposit and bonus.